Packaging Size: 1 Litre, 4 Litres & 20 Litres. We are one of the trustworthy and renowned organizations, involved in offering a wide gamut of Exterior Emulsion Paint to our clients. Apart from this, these products are prepared using high quality ingredients. 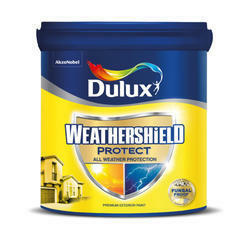 Royal Touch Superfine Exterior Emulsion Paint offers excellent resistance to chalking, cracking and weathering. It gives cleaner shades which do not fade and last longer and offers superior anti-algal performance in dry to moderately humid climate conditions. Shelf life: 12 months in unopened container. The Interior & Exterior Emulsions that we offer are acclaimed in the market for their availability in decorative colors. These products provide smooth and perfect water based finish and matt protection to the exterior surfaces. Moreover, these Interior & Exterior Emulsions have anti-fungal properties. Relying on our expertise in this domain, we are into providing a flawless quality range of Acrylic Exterior Emulsion Paint to our customers. This Acrylic Exterior Emulsion Paint is admired by our clients for its features like water resistant and premium quality. 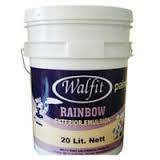 Besides, these products are used to paint exterior walls.